Intel has already waged war on ARM with its Medfield Atom processors, and it has now revealed more details on its attempt to derail ARM’s move into Windows 8 tablets too — the Atom Z2760 Clover Trail processor. Microsoft developed Windows RT, a slightly cut-down version of its new desktop operating system, expressly for use on ARM-based tablets, which in turn was a response to the popularity of cheap-to-buy, long-battery-life Android tablets and the iPad. The full version of Windows 8 also has a home on tablets, but it needs Intel’s X86 architecture to operate, which comes with a considerably higher price tag than Windows RT machines. 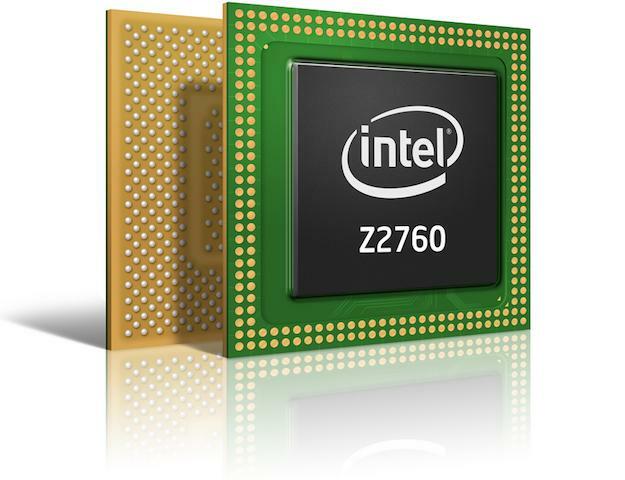 The Atom Z2760 is Intel’s answer, and it was the star of an Intel showcase event last week. Intel says the new processor allows manufacturers to build the thinnest and lightest Intel tablets yet, measuring as little as 8.5mm thick and weighing 680 grams. Complete specs are still foggy concerning Windows RT tablets, so as a comparison, the new iPad is 9.4mm thick and weighs 652 grams. This isn’t the important part though, as what counts here is the Clover Trail’s ability to provide the full Windows 8 and Windows 8 Pro experience on a tablet, with a quoted three weeks of “connected standby” and “more than 10 hours of HD video playback.” Low power consumption, and therefore longer battery life, is a staple feature of ARM-based devices, and Intel has taken a while to catch up. With Windows 8 onboard, Clover Trail-powered tablets will offer a greater degree of software support, remote access, Intel’s security features and secure booting too. In other words, these are potentially business-level tablets with ARM-based power benefits at a similar price point. The Atom Z2760 is built using the 32nm manufacturing process, has dual-cores with a potential clock speed of up to 1.8GHz and Intel’s Burst and Hyper-Threading technology; plus features such as NFC, GPS, 3G and 4G connectivity and the ability to support a pair of cameras. Asus, Lenovo, Dell, Hewlett Packard and Acer have all signed on to produce Clover Trail tablets. We’ve already seen the ElitePad and the Envy X2 from HP and the Samsung 5 Series, but as with everything Windows 8-related, no firm prices have been made public yet. So, while the features and battery standby time certainly seem to be a match for ARM-based Windows RT tablets, the full Windows 8 support and all the business-use garnish will make Clover Trail tablets attractive to customers who want the best of both worlds. It’s going to be fascinating to compare the two, side-by-side, once all the products and software go on sale.